NUALS, Kochi will conduct the CLAT Exam 2018 for admissions into 18 National law schools. The CLAT written Exam will be conducted on 13th May 2018. CLAT official (final)Answer Key will be updated 26th May 2018. The provisional answer key CLAT will be released on 15th May 2018. The time between May 16- May 18 was reserved for inviting objections based on analysis of the provisional answer key. The final answer key has been prepared after taking into account all objections and their solution. This answer key is the final answer key and the results will be announced taking into account the answers marked correct in this key. Every tick mark and green sign mean a correct answer and the red mark means a negative answer. Award yourself one mark per correct answer and a negative 0.25 mark for every wrong answer. Once you have looked at the key and calculated your score you can then check the past year cut off and analyze for yourself where you stand. The cutoff is the minimum marks one has to obtain in order to be eligible for counseling. The cut off will be calculated now and will be based on parameters such as how difficult the exam was, how many entrants took the test and how many seats are available. The CLAT results will be announced on 31st May 2018, and then the merit lists will be released. The counselling will be started by 7th June 2018, and that is when the first merit list will be released. The counselling process is centralized and not for each law school individually. After submission of the counselling fee, one has to lock the seat. Locking the seat means one has accepted the seat being offered and will take admission in the given college. One can also shift the seat which means that one is not accepting the given seat and will wait for a vacancy to come up in the college of higher preference. The second list will be out by June 16, 2018, and the third lists will be declared by June 24, 2018. The last date of withdrawing from the process is June 19,2018 and even then Rs 10,000 will be deducted from the amount paid. Withdrawal after June 19,2018 means your entire amount of Rs 50,000 will be forfeited. July 4 is when the colleges will convey the status of the seats filled and July 6 is when the process comes to an end. This is enough reason to cheer and we wish you good luck for the results. CLAT 2018 Answer Key has been released by the official website. 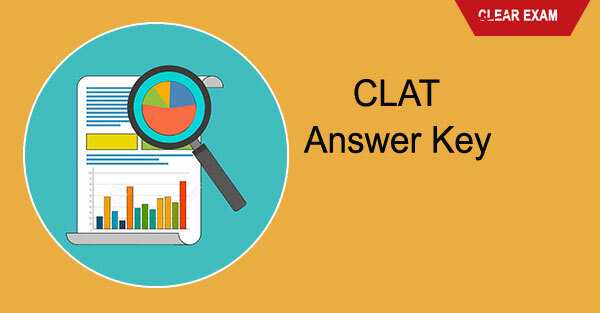 Check 2018 CLAT answer key here and calucalte your CLAT 2018 Score.